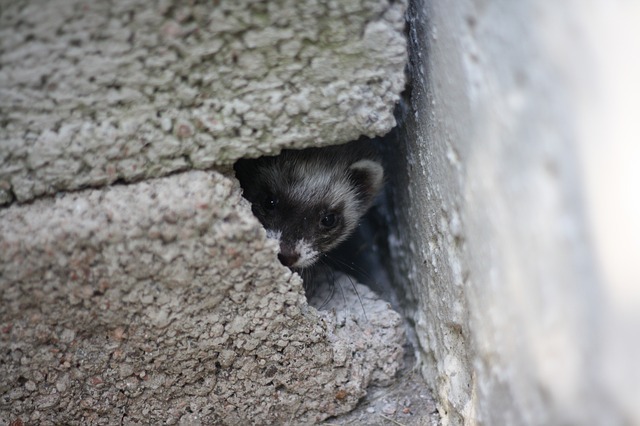 If you’ve decided to adopt ferrets as pets, first you need to make sure they are legal in your area and then get the perfect ferret enclosures as they require plenty of space to jump and exercise. And, if you want to learn more about training them and making them socialize with other people and animals, here are some tips that we think might help you out. Ferrets love their sleep and tend to do so up to 17 hours a day. However, the remaining time while they’re awake they are incredibly active and tend to be mischievous. Therefore, learn to work around their schedule and start the socializing program as soon as possible. Keep in mind that baby ferrets are easier to train so, the sooner you start, the better. The general answer to this question is yes, they are. 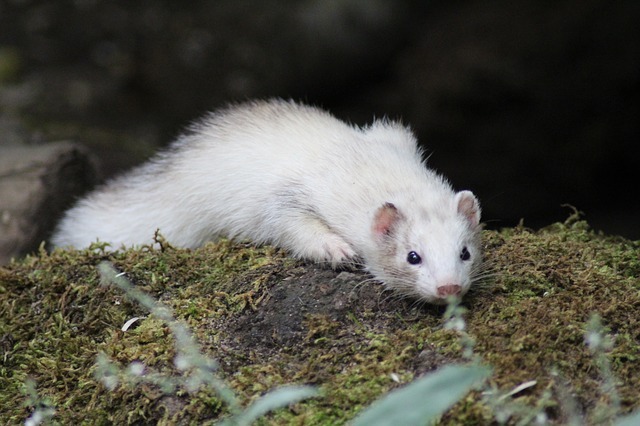 If they are used to humans from the earliest stages of their lives, ferrets are extremely loving creatures and enjoy being cuddled and petted by their owners. They can also get along well with other animals, especially cats and dogs, given that they were raised together. As with all other animals, if you adopt an adult ferret that isn’t used to living indoors, training is a difficult, if not a completely impossible task. Therefore, you must be very patient and dedicated to your goal if you want your pet to socialize with other people outside your family. Another concern when it comes to these animals is their interaction with children. Ferrets use their mouths and teeth to grab things, so they may end up biting your kids. They also need their nails trimmed regularly in order to avoid scratches and other minor injuries. In other words, introducing your ferret to small children could be hazardous, especially since children cannot handle these animals carefully and may risk being bitten or scratched. So, unless your pet is fully trained or you supervise its behavior around kids at all times, it would be best to limit their contact. As we previously mentioned, turning ferrets into docile pets takes a lot of patience and time, so you cannot expect results overnight. 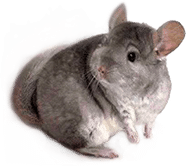 They are incredibly stubborn creatures but one thing is for sure – they will aim to please their owners as long as they are shown love and affection. Thus, you should begin socializing with your pet for 10-15 minutes twice a day in the earliest stages. Considering they enjoy sleeping for most of the day, this only gives you a small window when your pet is awake and active. However, don’t try to suffocate the ferret with your affection in the beginning as you might receive a negative reaction. 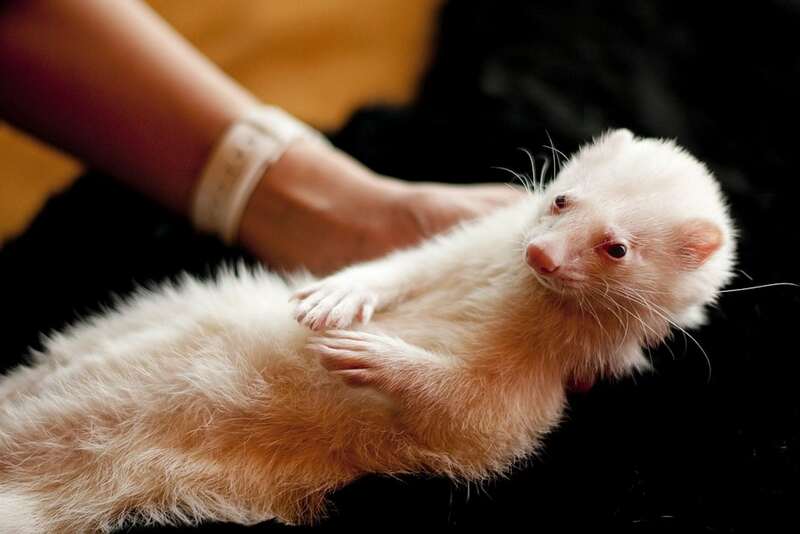 Ferrets require time to get used to their human owners so they might act anxious and nervous at the beginning. During the time you spend together, you should try and hold your ferret and pet it. Talking to it is also a good idea as it will be able to recognize your voice later on and even calm down. You can start by taking your pet out of its cage and holding it into your arms while watching TV together. This will give you a great opportunity to bond and relax at the same time. Ferrets enjoy nipping and chewing, so how do you make these habits go away without adopting a negative attitude toward your pet? Professional trainers suggest you should always apply a positive reinforcement tactic instead of a negative one. In other words, if you see your ferret holding onto your pants as it tries to climb, pick it up and cuddle it. If it bites you, a good way to teach it not to do so in the future would be to gently blow into its face. Punishing, shouting, and even beating your ferret will only make it be scared of you and trigger a violent behavior in return. They need to be shown love and trust in order to train them and help them behave better among people and other animals. Ferret urine has a strong smell that is hard, if not impossible to remove. Therefore, if you ever want to live in the same room or house as your pet, you need to train it to go to the litter box. As with all other animals that need to be potty trained, it is best to start at a young age, preferably after a few months after its birth. The longer you wait, the harder it would be to train your ferret as it already establishes its own routine. You can mark the spot by leaving small amounts of feces in the litter tray and have your ferret acknowledge it. You may have to do this several times until your pet understands the role of a litter tray, but remember to be patient. There are also various ways to anticipate the time your ferret will have to go to the bathroom, so you can prepare the box. For instance, keep in mind that these animals have a fast digestive system, and they will usually feel the need to go to the loo three-five hours after they eat. Signs that show your pet is ready to go potty include sniffing the area and walking backward toward the area where they plan on doing their needs. If you notice any of these signs, make sure to have the litter box ready and place it underneath your ferret. Doing it so a few times will teach your pet about the importance of the box. Don’t forget to also reward your pet every time it uses the litter box to encourage the behavior and establish a pattern. Last but not least, keep in mind that ferrets are clever animals so, once they know they can expect a reward, they will only pretend to do the job just so that they can get their treat. Before offering, make sure your pet actually learned the trick.